The EGO 21" Power + Mower is the first lithium-ion mower to exceed the power of gas! Receive all the torque of gas without the noise, fuss and fumes. 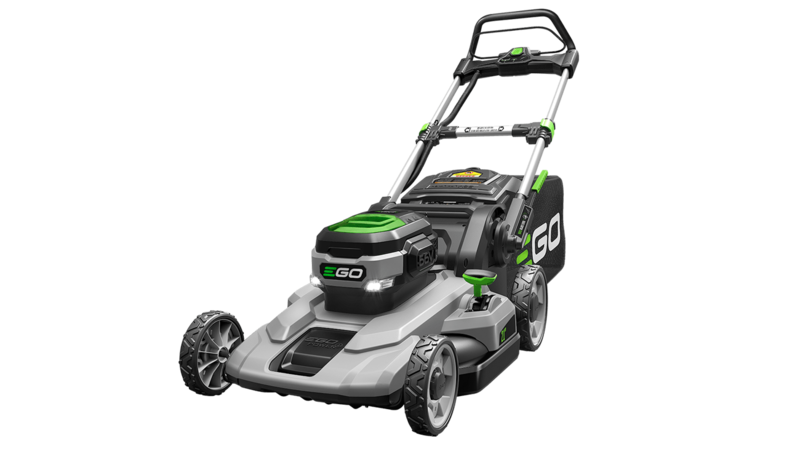 The EGO 21" Power + Mower is the first lithium-ion mower to exceed the power of gas! Receive all the torque of gas without the noise, fuss and fumes. 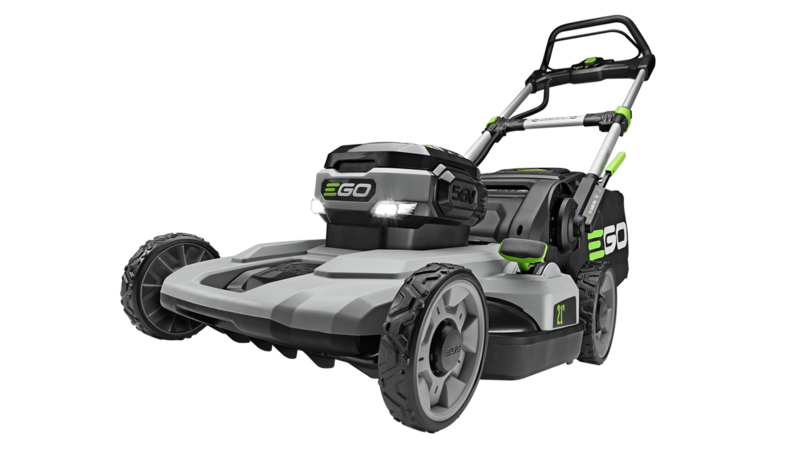 The EGO 56V Lithium-Ion Mower delivers long-lasting power, rapid charging and durability in all weather conditions. 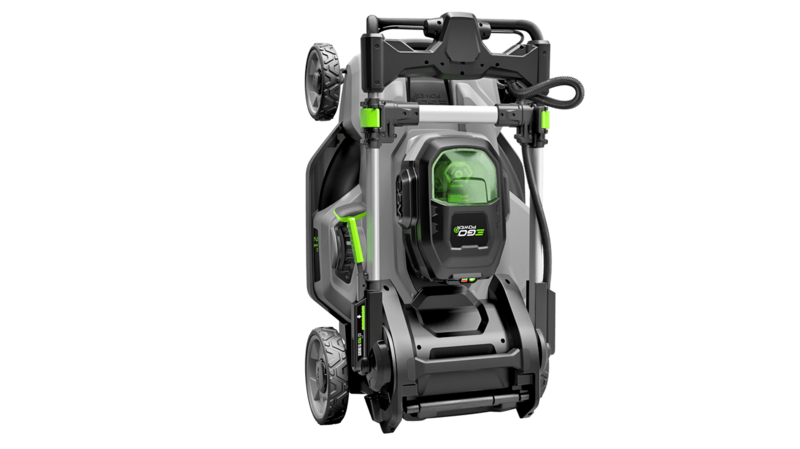 Equipped with a large 21" deck, a run time of up to 45 minutes (with 5.0Ah battery), to cut your entire lawn. Compatible with all EGO POWER+ ARC Lithium™ batteries (available separately) to deliver Power Beyond Belief™. My old electric mower felt kinda cheap - this one is totally solid. Feels and mows just like a gas mower but without the gas. Unless you have ten acres to mow, I'm not sure why you'd ever need a different mower. Best all around lawn mower I have ever used!! I've owned mine for a month and I'm quite happy with it...It is easy to take the battery in and out and easy to fold and store. The self-propelling type might have been a good investment for sloping properties or for users of small stature. Planning to invest in the trimmer next.